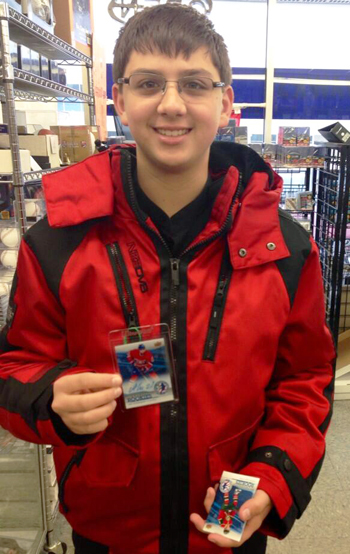 Upper Deck, the company’s network of Certified Diamond Dealers, the NHL® and the NHLPA work together each year in a collaborative effort to provide fans with a fun experience that allows them to sample hockey cards for absolutely free with National Hockey Card Day. 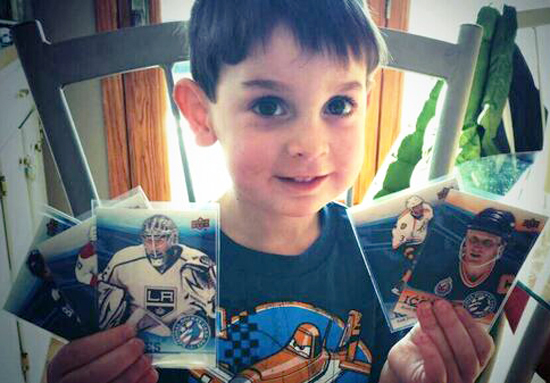 The event has grown in notoriety each year and Upper Deck has worked hard to provide great content in the set for collectors to chase, both at the hobby and retail levels throughout the U.S. and Canada. 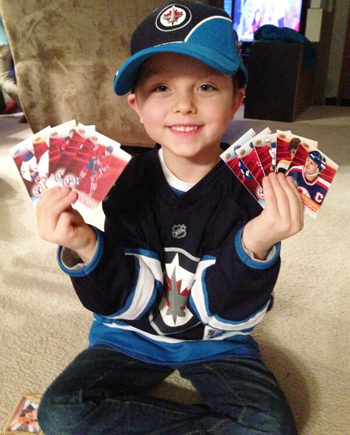 It is clear National Hockey Card Day continues to raise awareness and interest in collecting NHL® cards. And the major reason why the program is so successful and creates so much media interest is because it is FREE for sports fans to participate in. 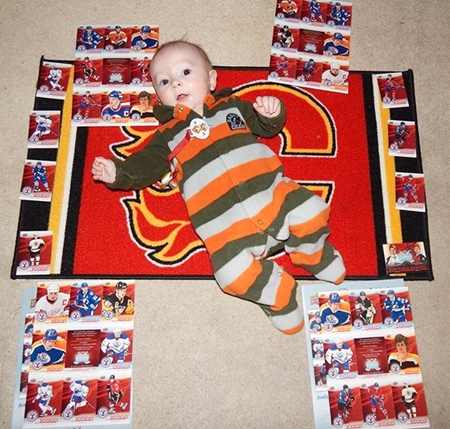 Upper Deck, the NHL® and the NHLPA spend a lot in marketing for the program, but mostly in creating a quality trading card product for fans that includes randomly seeded autograph cards to make it a hit each year. 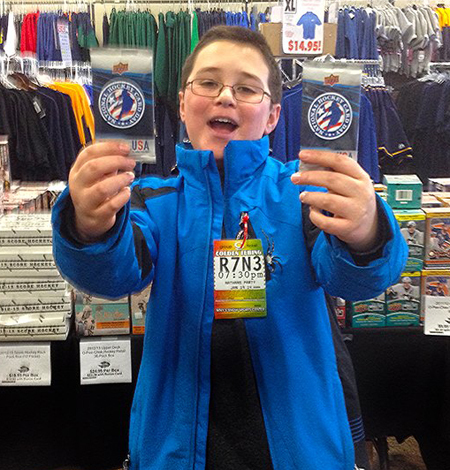 And Certified Diamond Dealers also make an investment to have packs available for free at their shop to thank existing customers and encourage new customers to try the hobby. 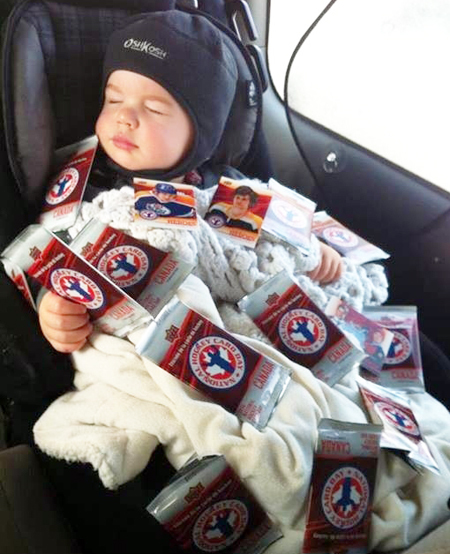 Fans are not required to purchase products that are not selling, they simply walk in the shop, get a free pack and that is it. 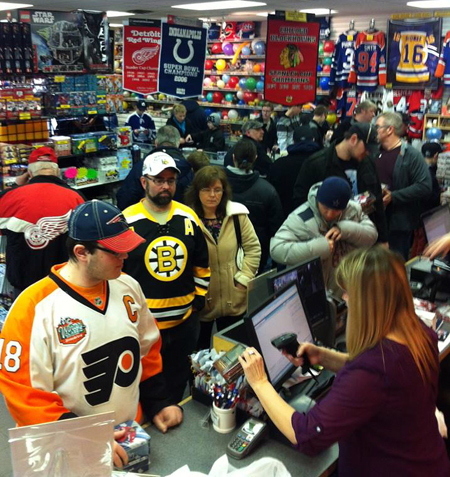 Most fans journey around their cities (sometimes even counties) visiting a variety of shops, learning more about the products and services they provide, while putting their set together. 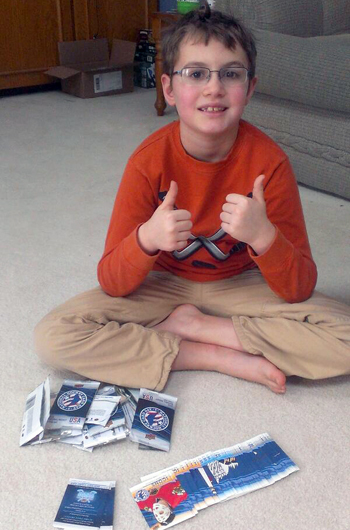 Imagine this young fan’s thrill when he received a free pack and pulled an autograph card! 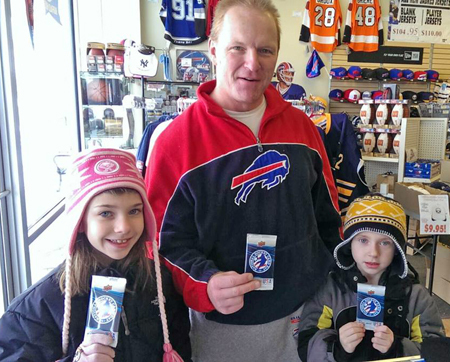 It pays off for the shops as many who participate in the program and really make it special for fans by running promotions throughout the day, report their best day of sales for the year on National Hockey Card Day. 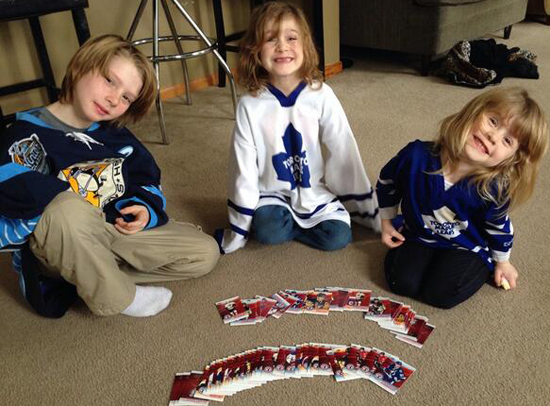 FREE hockey packs on National Hockey Card Day always brings sports fans out in big numbers! 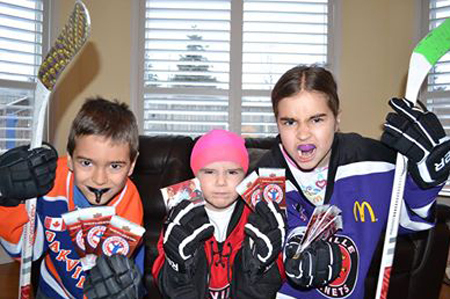 What we saw this year, more than ever, was a tremendous amount of kids getting involved in the hobby through National Hockey Card Day. 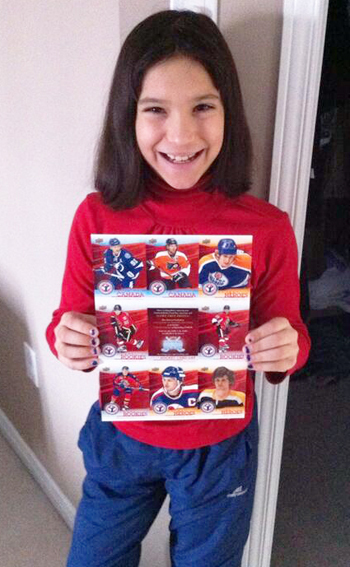 Take a look at just some of the photos we received from families taking their kids to shops to collect this special annual set. 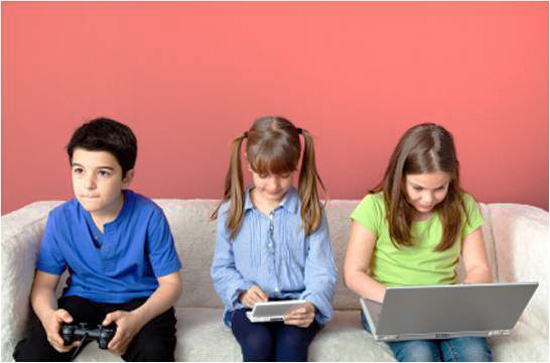 And the comments we received through social media channels were inspiring as well with regard to kids getting involved in the hobby. 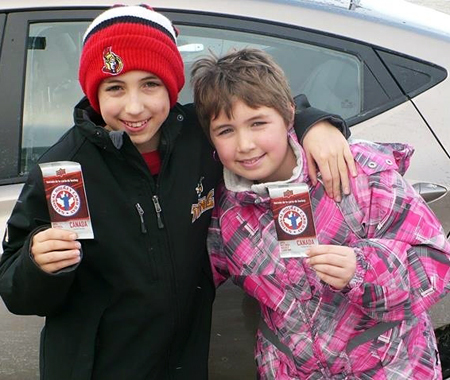 Upper Deck has been working hard at with all of our marketing campaigns to focus on sharing the hobby with kids. 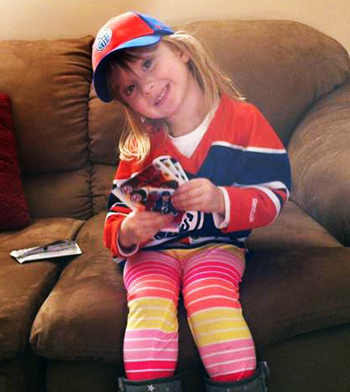 Here are some samples of what we heard from fans. 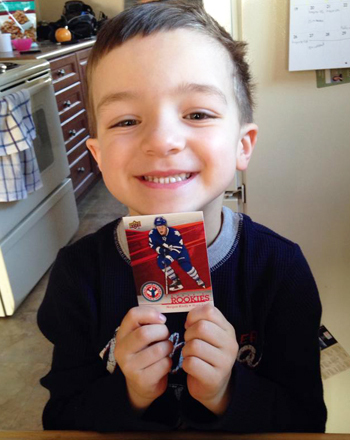 National Hockey Card Day – Jon L.
“This has become a tradition for us.” – Robert M.
“My son looks forward to this day every year! 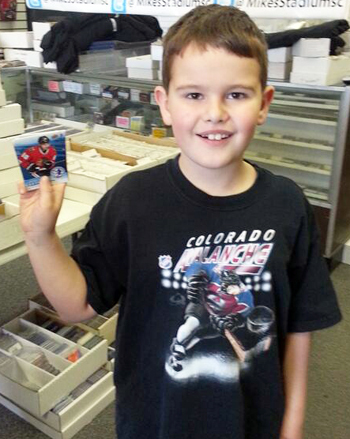 Thanks Upper Deck!” – Tammy W.
“I really wish I had a picture of my son when he opened the pack and saw Sidney Crosby. I heard a big squeal from the backseat of the car and knew exactly why. 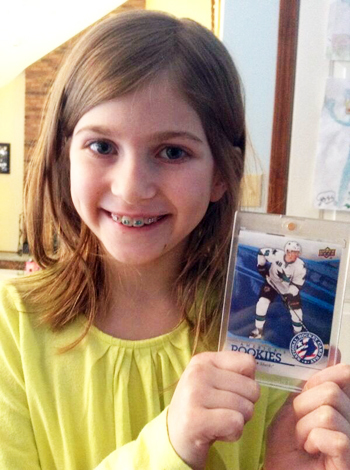 He is 11 and has followed Sid since his pre NHL days.” – Shannon M.
“Thanks so much for the fun of collecting hockey cards. 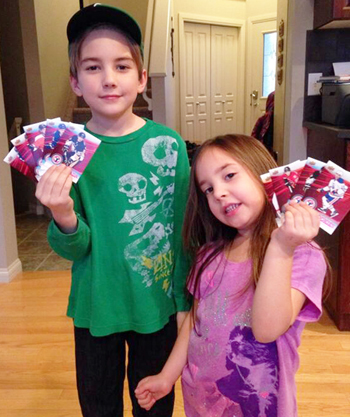 The Kids had fun opening packs.” – Jill C.
“Thanks Upper Deck for the hockey cards. 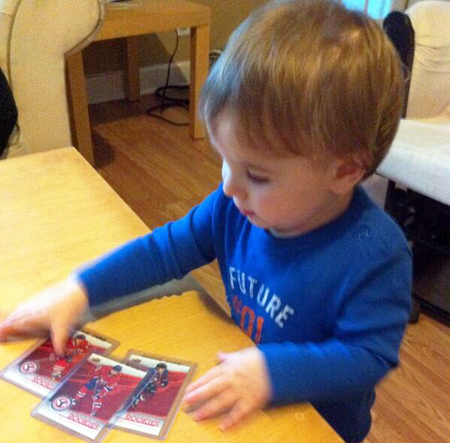 My son has officially started his collection.” – Matthew R.
i missed out this year. Hopefully next year.